Born in 1898 to Nanette Lederer Calder and Alexander Stirling Calder, a painter and a sculptor respectively, Alexander Calder was encouraged to be creative and make things by hand. As a child he made gifts for his family and jewelry for his sister’s dolls. 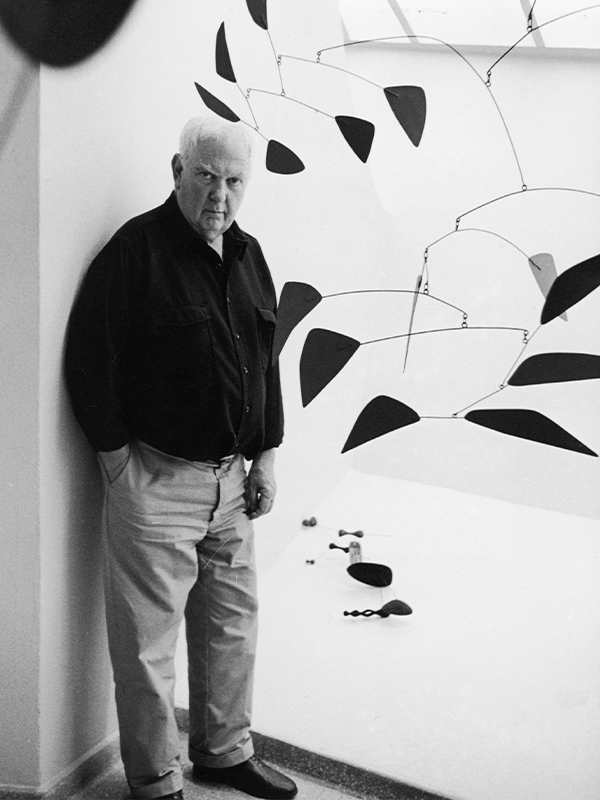 In 1915, Calder attended Stevens Institute of Technology in New Jersey graduating in 1919 with a degree in mechanical engineering because his parents didn’t want him to struggle as an artist. After completing school, Calder work a myriad of jobs including draftsman for Edison Company, a staff member at Lumber magazine, coloring maps for a hydraulics engineer and timekeeper for a logging camp. In the spring of 1922 Calder attended night classes in drawing and the following year he decides to pursue a career as a painter. By 1925 Calder had his first art exhibition and in 1926 he made his first sculptures out of wood and wire. Calder relocated to Paris, socializing with the Parisian avant-garde, and started making mechanical toys and abstract sculptures. His kinetic works, a departure from traditional sculpture, became known as ‘mobiles’, a term coined by Marcel Duchamp. Calder’s artistic endeavors ranged from mobiles to stabiles (static sculptures) both small and large, to jewelry and paintings. 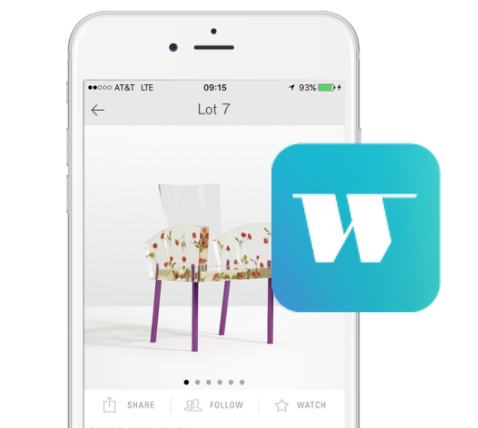 Today his works can be found in numerous museum collections around the world including The Whitney Museum of American Art, the Centre Georges Pompidou, Paris and the Museo Nacional Centro de Arte Reina Sofía in Madrid.